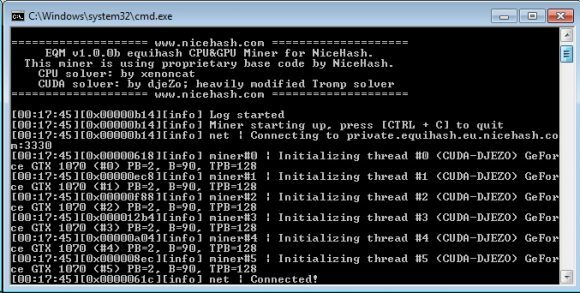 AMD GPU miners were recently getting quite the boost thanks to Claymore’s Zcash miner on Windows, but now Windows users with Nvidia GPUs also got a nice boost in ZEC mining performance thanks to the release of the NiceHash EQM Zcash Nvidia Optimized Miner. It kind of doubles the performance that people were getting with the previous nheqminer from Nicehash, so now with a 6x GTX 1070 GPUs for example you can be all the way up to about 400 H/s. Do note that the miner currently supports only newer Nvidia GPUs and will apparently not work on anything lower than SM 5.0 capable GPUs – Maxwell or Pascal. The only drawback is that the miner currently only supports connection to NiceHash, so you cannot use it with other pools. While this might nit be bad during the slow start of ZEC mining, after that you might still want to go for mining and keeping Zcash instead of immediately selling it for profit. Hopefully in the next few weeks we are also going to see more development happening for Nvidia users and that goes not only for Linux, but for Windows users as well. 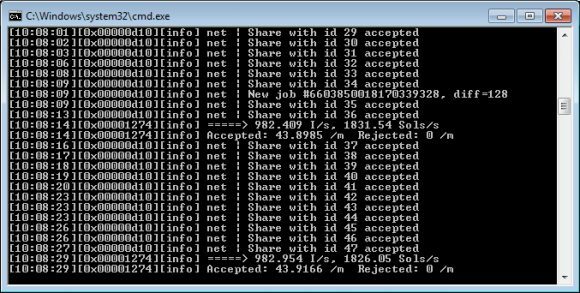 Linux users would probably want to go and try the latest version of the Silentarmy miner that also brought support for Nvidia GPUs and is apparently providing similar performance as the NiceHash release for Windows. Also the Silentarmy miner is doing pretty well on AMD hardware, so do try it as well if you have such mining rigs and are running them on Linux.